GRAND RAPIDS June 20, 2016– The West Michigan labor community, partnered with Heart of West Michigan United Way, held its June food truck at City Life Church in Grand Rapids last week, where 227 people from 65 households were able to receive food assistance. Next month’s food truck will be held at First Community AME, 500 James St SE in Grand Rapids. 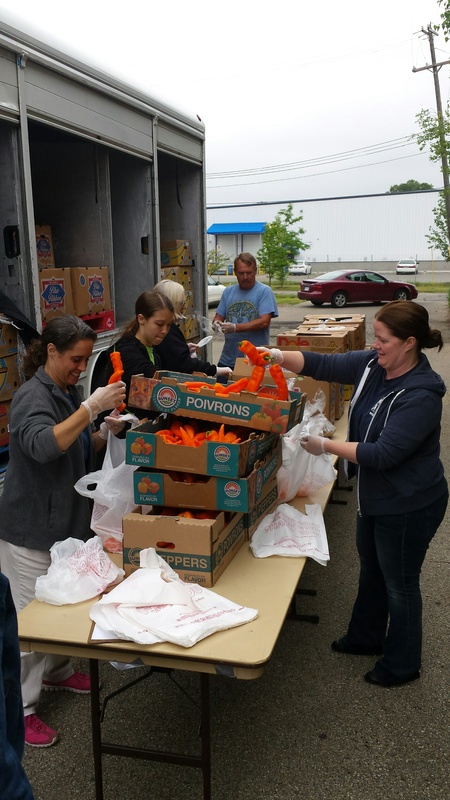 If you would like to support our monthly food truck program, and ensure food-insecure families in Grand Rapids continue to have access to healthy food options, you can make a donation to the Labor Heritage Society of West Michigan. A donation of $5 will provide 50 pounds of food, $10 will provide 100 pounds, and $100 will provide 1000 pounds. This entry was posted on June 20, 2016 by WMALC in Uncategorized and tagged church, City Life Church, Feeding America, First Community AME, Grand Rapids, Labor Heritage Society of West Michigan, United Way.